. يقدم Surf 'n' Snow Backpackers خدمات لا غبار عليها وكل أشكال اللياقة وحسن الضيافة اللازمة لإسعاد ضيوفه. يمكن للنزلاء الاستمتاع بالميزات التالية: واي فاي مجاني في جميع الغرف, أمن على مدار 24 ساعة, خدمة غسيل ذاتية, خدمة سيارات الأجرة, خدمة حجز التذاكر أثناء إقامتهم في هذا المكان الرائع. استمتع بوسائل الراحة الراقية في الغرف أثناء إقامتك هنا. بعض الغرف تتضمن سجاد, قهوة فورية مجانية, شاي مجاني, خزنة, أرضية خشبية/باركيه لمساعدتك على استعادة طاقتك بعد يوم طويل. كما أن مجموعة الخدمات الواسعة الموجودة في الفندق لضمان راحتك تترك لك الكثير من الخيارات لقضاء وقتك أثناء فترة إقامتك. مهما كانت دواعي سفرك فإن Surf 'n' Snow Backpackers هو خيار ممتاز لإقامتك في أوكلاند. This unfortunately was a stay to remember because it was the worst!, Pillows were stained, so were the towels. The room smelled bad. The bathroom was dirty. Behind the bathroom door was a pair of dirty underpants. When I complained to staff at reception, all they said was "sorry" . Staff were not helpful, instead of assisting travelers to check in such as my friend and I, staff were on their phone playing games. Worst decision ever to stay there. No window for single room(not shown on the room information), beware of being choked or heat exhaustion. Life is more important. If you are only interested in being located in the city, then maybe consider this as your stop over. 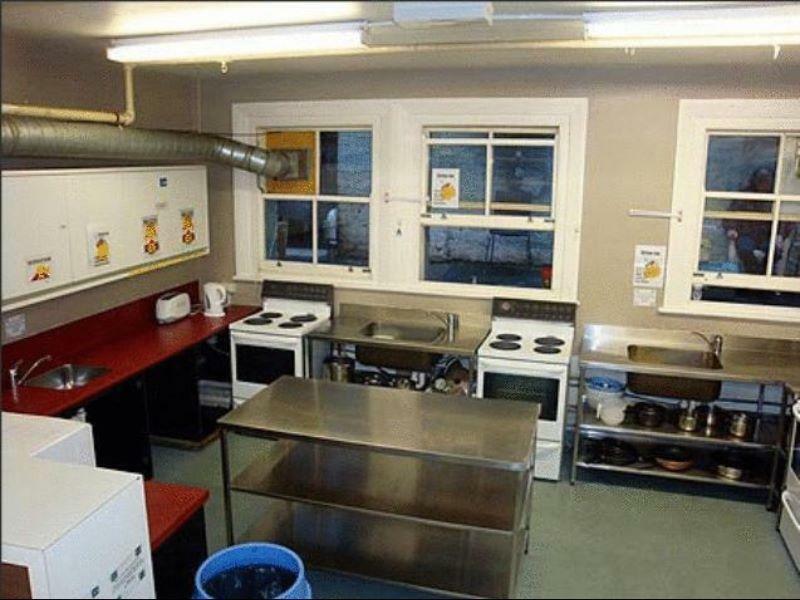 The bathrooms are rubbish, poorly maintained rooms and awfully maintained facilities otherwise. Save your money and stay a little outside the city if you're concerned with cleanliness. It's situated in a loud area, definitely not my cup of tea. Will not be returning everrrrrrrr. I booked for a double room with bathroom inside. The room was not clean. A broken lather chair probably from the 70s and a table had food residues and beverage stains on them. The carpet was not cleaned as well. Now let's move to the worst part: the bathroom. It hasn't been cleaned at all from the previous stays. The toilet had pee, other residues inside (I let you imagine what) and used toilet paper inside. In the sink there were hair from someone who shaved there and the floor was not mopped. That was a room toilet, not a shared one. It should have been cleaned for the next check in. That place is the worst I've ever stayed in and I find the Internet reviews absolutely unreliable. I booked this hostel due to the close proximity to the Sky City Bus Terminal. And that plus the free wifi is the only good thing I can say. I booked a double ensuite room, but was given a room with no window and no bathroom. The room is musty and not at all clean. I am bit claustrophobic and I was not able to sleep at all. Good thing is that I checked out at 3 am and only spent less than 6 hours in the room because this is not a decent place to stay in Auckland. This is my go-to place when I'm going clubbing for the night and don't want to go home. Most guests or roommates are lovely and it's cool meeting different people from around the world! The stood out is the location which is very close to everything you might want. Also it is so easy to catch a bus to get away from the town. Staff are nice and helpful. I met a lot of strangers and became friends then. I strongly recommend staying here! Accidentally made a booking for the wrong date. Messaged property owners and got no response. Messaged Agoda and they said the payment was non-refundable based on the decision of the property owner and Agoda couldn't do anything about it. To choose:low price(less than a hundred dollars per week to stay in a dorm for 8 people)+close to CBD Not to choose: 1.Ventilator: never see saw an wired design hostel,the kitchen's ventilator connects with rooms,whenever people cooking,u can smell and be choked by all that mix disgusting air,if lucky your room got window,u can avoid that smell but to bear the cold weather,if not with window,Let god bless u. Just wander,if someone release some poison thing in his/her room,and then everyone will surfer the result. 2.Dirty:bed bugs bite my friend's face,and the beddings looks old and dirty. 3.Location:the window face the Main street,all the night we stayed could hear people's screaming,talking out loud,laughing,and cars,and as I mentioned above,u have to leave the window open to avoid being choked,even though it doesn't work well if u close the window. 4.Cold shower:during my stay,sometimes cold water or have no water for a moment. . . .
To choose:low price(less than a hundred dollars per week to stay in a dorm for 8 people)+close to CBD Not to choose: 1.Ventilator: never see saw an wired design hostel,the kitchen's ventilator connects with rooms,whenever people cooking,u can smell and be choked by all that mix disgusting air,if lucky your room got window,u can avoid that smell but to bear the cold weather,if not with window,Let god bless u. Just wander,if someone release some poison thing in his/her room,and then everyone will surfer the result. 2.Dirty:bed bugs bite my friend's face,and the beddings looks old and dirty. 3.Location:the window face the Main street,all the night we stayed could hear people's screaming,talking out loud,laughing,and cars,and as I mentioned above,u have to leave the window open to avoid being choked,even though it doesn't work well if u close the window. The staff are all not so effective. They’d prefer talking rather than offering help to us. We just needed to wait there for over 10 minutes and the staff just kept talking to each other. And the in-room wifi was so weak.